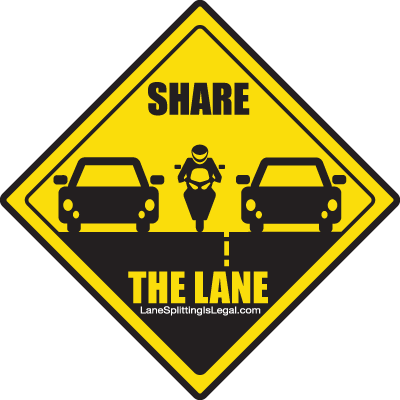 Read the complete CHP Lane Splitting Safety Tips here, and for more information, take a look at our lane splitting resources & links page. Want to support our efforts? Buy some ‘Share the Lane’ stickers!